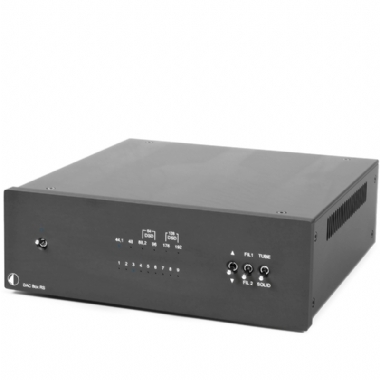 The advanced ProJect DAC Box RS is a reference-class D/A converter for all kinds of digital stereo sound sources. It superbly acts as a superior USB audio interface for demanding computer audio, also features AES/EBU input and I²S interface for use with CD Box RS. For the engaged audiophile we provide full DSD capability (up to DSD128) over PCM. All inputs fully support 24/192kHz HD music data (optical inputs 96/24) in fully asynchronous mode.